Cherry Hill Township, Camden County, NJ – For many years, CES has been trusted as the engineer and surveyor to this expansive 42-acre retail commercial center, located adjacent to the vibrant Cherry Hill Mall on Route 38. 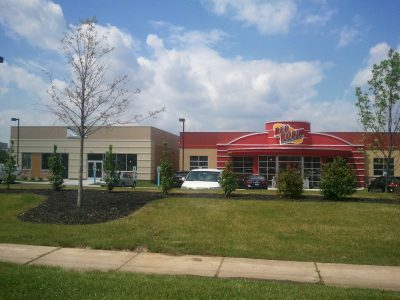 Changes have included the addition of a Red Lobster Restaurant, revisions to the main buildings and parking lots, and the addition of a Red Robin Restaurant and approximately 4,000 square feet of road front retail space. CES has vast experience before planning and zoning boards throughout New Jersey. Let us help you with your approval process.